Six more spots on Team USA will be decided this weekend in Pennsylvania as USA Wrestling moves to the second leg of their “Final X” series. The three week long event kicked off last weekend in Lincoln, Nebraska with a pair of wrestlers with Iowa ties each clinching their spots on the 2018 World Team. Both hailing from Iowa City’s Hawkeye Wrestling Club, Thomas Gilman and Alli Ragan each retained their World Team spot by winning their best of three series in two straight matches. Gilman defeated Oklahoma State phenom Daton Fix 6-3 and 2-1 to win the Men’s 57 kg spot, while Ragan downed Jenna Burkert 4-0 and 5-0 to win her spot on the Women’s side at 59 kg. Both Gilman and Ragan won silver at the 2017 World Championships. 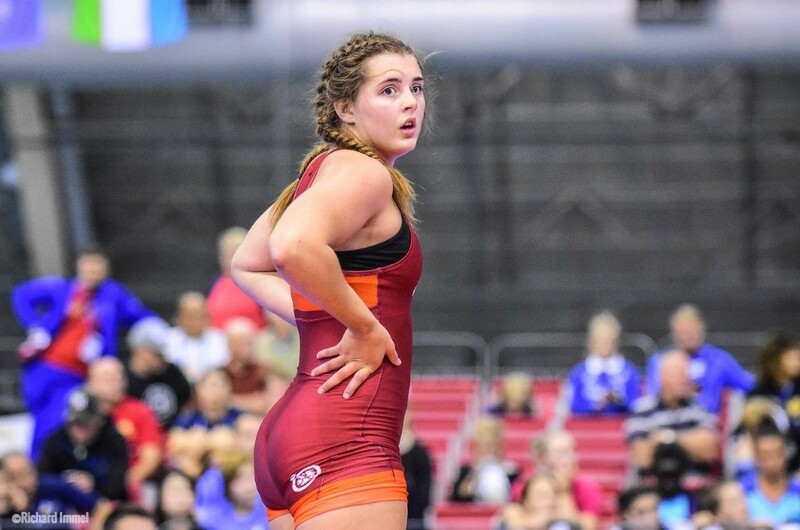 This weekend’s event will take place in State College, Pennsylvania and we will see another Iowa native will toe the line with Rachel Watters of Ballard Iowa looking to make her first ever Senior World team at 72 kg. Watters is one of the top Women’s freestyle wrestlers the state of Iowa has produced over the last few years. She has competed in four age level World Championship tournaments and is guaranteed a spot on her fifth regardless of the outcome this weekend. Watters was a three-time Junior World Team member from 2015-2017, and she was also on Team USA’s U23 roster last year. She is already qualified for the U23 World tournament in 2018, unless she manages to down veteran Erin Clodgo and makes the Senior team. Clodgo was the U.S. representative at 63 kg back in 2015 and was the Olympic Alternate the following year in 2016. Lauren Louive will be wrestling also! She is as hard of a working wrestler that I’ve known. Truly dedicated to the sport! I thought the third place matches were held at Final X Bethlehem, which takes place on 06/23.